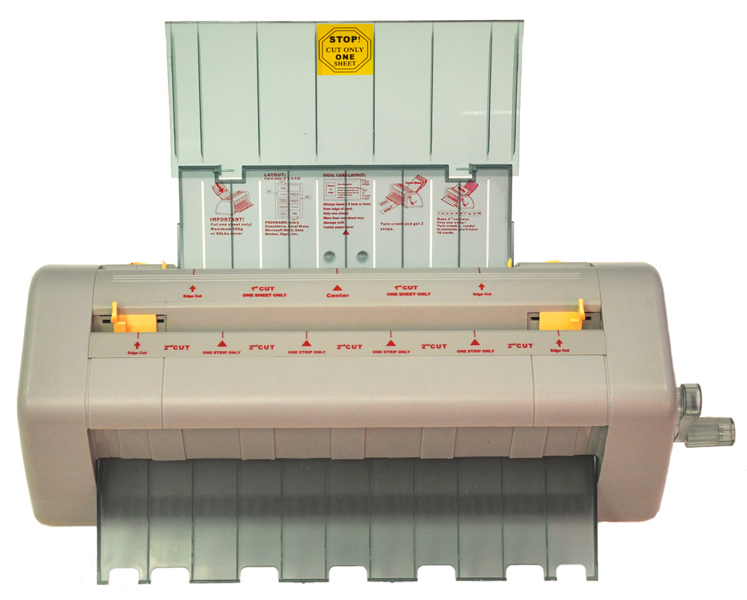 A Manual 10-up Business Card Cutter is small and very powerful to produce up to 60 plus cards in one minute. It runs one sheet (8.5"x11") at a time with clean edges and feeds straight. It comes with FREE template for easy layout setup. Business Card Size: 2" x 3-1/2"
It is a brand new Business Card Cutter in a box and guaranteed workable.